MAHB spokesperson said the actions include tighter control over the issuance of airport security passes and increase in patrol frequency by aviation security personnel. KUALA LUMPUR: Malaysia Airports Holdings Berhad (MAHB) have taken immediate actions to further strengthen security measures in airports nationwide following Brussels Airport bombing incident, last Tuesday. "We have also increased inspections on all access doors as well as heightening the overall security checks at all security checkpoints involving passengers, goods and airport personnel," he told Bernama when contacted Thursday. He added that collaboration between MAHB and all relevant agencies and authorities had also been enhanced to ensure highest level of security at the airports. 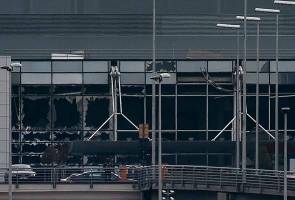 At least 34 people were killed and 180 others injured after explosions at Zaventem Airport and Maelbeek metro in Brussels on Tuesday.